Come browse, shop and enjoy hundreds of fine art and artisan-made, affordable holiday gift items made by members of the Princeton Arts Society. Wonderful small wall art in many media will be available, and tables will overflow with jewelry, cards, prints, ornaments, fabric items, original books, bags, and much, much more. 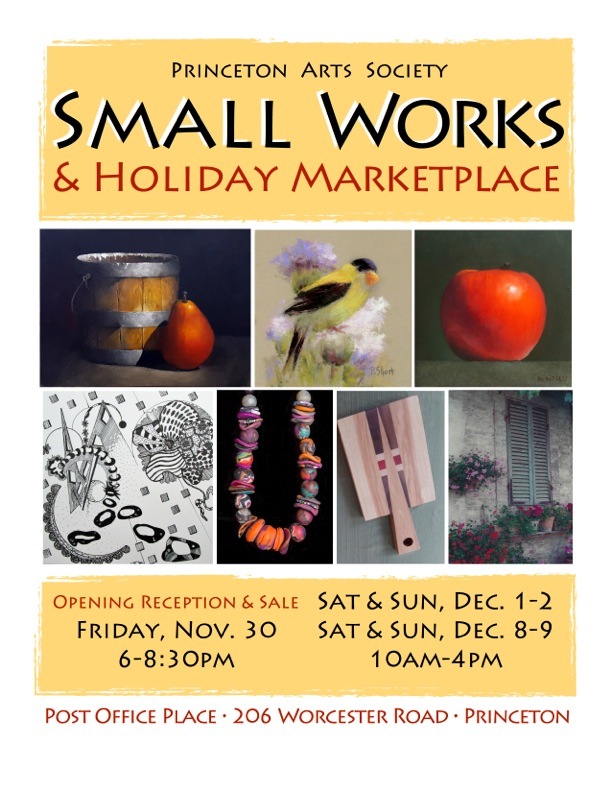 Your holiday shopping will be all the more meaningful by supporting our local artists.